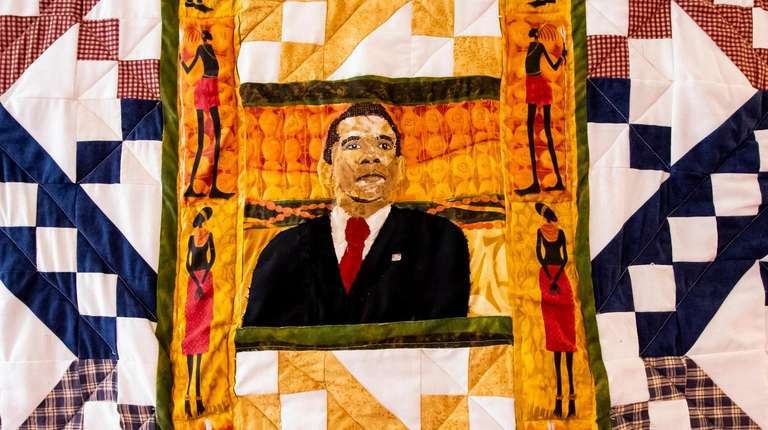 The quilts mark the election of Barack Obama, Juneteenth, Haiti's earthquake and more. Like many African-Americans, Kim Taylor of Baldwin was overcome with emotion when Barack Obama was elected president in 2008. 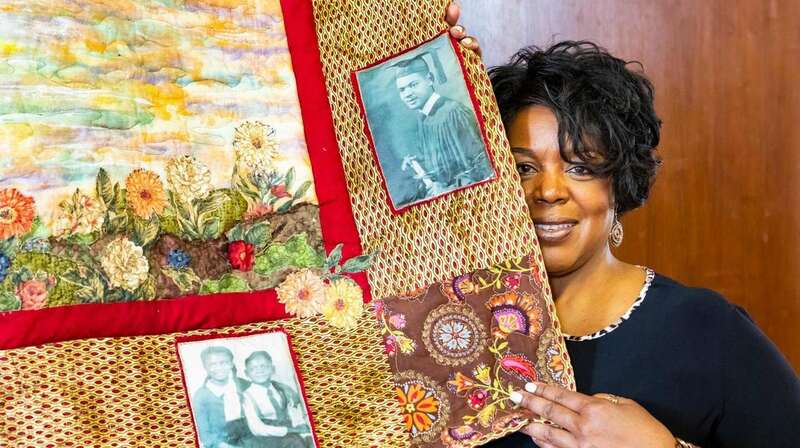 She expressed her joy in an unconventional way — with no previous experience, she created a quilt with Obama’s face as the centerpiece. She called it “Full Circle, A History." 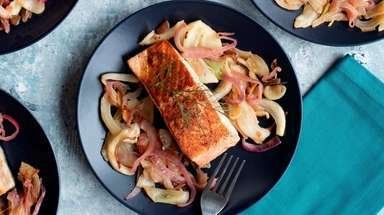 That was the birth of a new hobby for Taylor, 55, who is the head of the speech department at the Lexington School for the Deaf in East Elmhurst and the single mother of Mikayla, 17. Quilting became a way of expressing her identity and the history of her West African ancestors and her people. She quilted to portray her emotions regarding the 2010 earthquake in Haiti and the African-American holiday of Juneteenth, for instance. More than a dozen of Taylor’s creations are gracing the walls of the South Nassau Unitarian Universalist Congregation’s South Ocean Gallery in Freeport through March 10. “We are exhibiting Kim Taylor’s quilts for their beauty and for the history they bid us not to forget,” says Diane Hawkins, co-chair of the art committee for the congregation. After Obama was elected, Taylor studied quilting by reading books about the techniques. She chose a backdrop of diamonds escalating diagonally in a traditional pattern called Jacob’s ladder that some say has become a tribute to the Underground Railroad. “I was in disbelief that a country that had slaves a few hundred years back, now had a black president,” Taylor says. "Slaves found a way to quilt even when they had very little material. I wanted material that looked like it might have been cast off by a slave master." She created Obama’s face by gluing scraps of cloth to the quilt in a mosaic-like way in the center. She surrounded it with images of African warriors. Taylor sent a photo of the quilt to Obama and got a letter back that she framed on a wall of her house. “It’s signed, but I’m not sure he actually saw it. I think his staff sent it,” she says. Nevertheless, she treasures it. “I’m so proud of it,” she says. 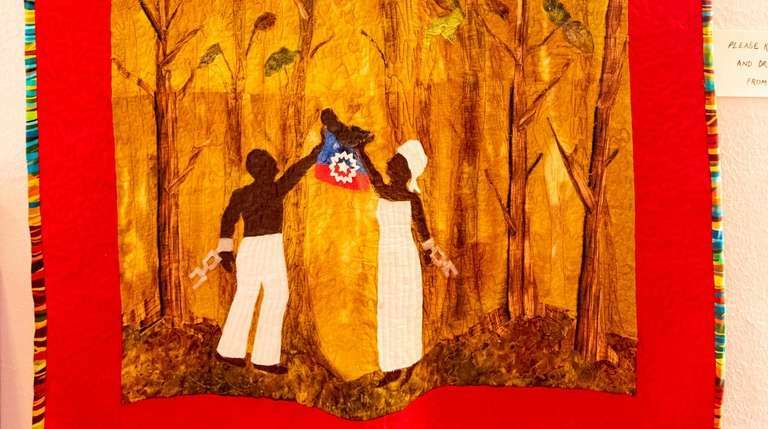 This quilt commemorates the 1865 abolition of slavery in Texas. Taylor says she went to a celebration as an adult that marked the holiday. “I had never heard of it,’” she says. She felt compelled to portray the story, and she features a slave couple jointly holding up their baby in triumph “to signify freedom,” Taylor says. 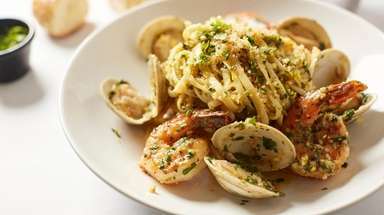 “I was so devastated by the earthquake in Haiti in 2010. I just felt like these poor people weren’t getting the help they needed,” Taylor says. She created a traditional "charm quilt" with a pattern of 432 squares. She chose material colors and patterns that she feels symbolize broken glass, souls rising to Heaven, and blood. “The binding and borders are the colors of the Haitian flag,” she says. After her paternal grandmother died in 2011 at age 89, Taylor transferred black-and-white family photos onto T-shirt cloth and arranged them around the border. They feature her grandmother and her grandmother’s four children, one of whom is Taylor’s biological father. “I wanted to create my autobiography in a quilt,” Taylor says. The 12 squares take Taylor from baby through adulthood, and in each square Taylor is identified or symbolized by a yellow ribbon. She included, for instance, a square that shows her playing skelly, hopscotch and double Dutch, another attending temple at Beth Shalom Ethiopian Hebrew Congregation in East New York, and one when she graduated from Brooklyn College in 1991 with her master’s in speech pathology. The final square honors her roots, which gave her the gift of quilting, she says. 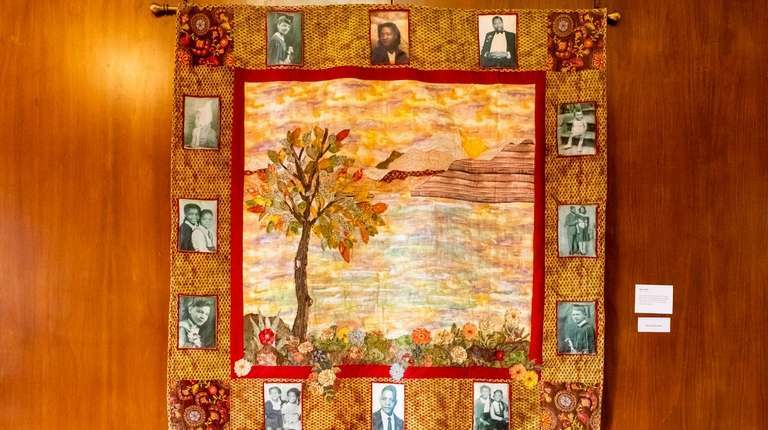 It features a replica of the Bible Quilt created in 1886 by former slave Harriet Powers.